Many children have attention deficit hyperactivity disorder, or ADHD. It's a puzzling condition that makes it difficult for children to learn and relate to others. It can also be challenging for parents and teachers to come up with ways to help these children. Children with ADHD seem to be in constant motion and have trouble focusing on any one task. They're easily distracted, and are often unable to finish what they start. They have trouble listening, and may also fidget and talk excessively. They seem unable to play by themselves. They're likely to act impulsively; for example, by intruding nosily on others. Childhood ADHD is not always easy to diagnose. There's no one test for ADHD. The family doctor can do a physical exam and order tests to rule out other causes of the symptoms. If no other causes are found, a mental health professional can be called in to evaluate the child. The professional will assess the symptoms of inattention, hyperactivity, and impulsiveness. If these are pronounced, have been going on at least 6 months, and are present everywhere the child goes, he will probably be diagnosed with ADHD. The causes of childhood ADHD aren't known, but some possibilities are that it's genetic or results from a brain injury. Drinking alcohol during pregnancy may lead to ADHD. Some food additives may also cause ADHD, or make it worse. Treatments for ADHD include medication, special education, and helping the child with organizing and focusing. Some common medications are Adderal, Concerta, and Ritalin. These are psycho-stimulants, which help children block out distractions and concentrate on tasks. Children with ADHD can also benefit from special education classes, where they have an individualized education plan to help them get the most out of school. At home, parents can create a schedule for the child, and help him organize his things. Having order and consistency allows a child with ADHD to simplify his life and better maintain his focus. ADHD can persist into the teenage or adult years. But teen and adult ADHD can be different from childhood ADHD in the way the symptoms present themselves. Teens and adults with ADHD have the same problems with hyperactivity, inattention, and impulsiveness, and, like children, can be distracted and lack focus. But, because teens and adults are more mature, they can mask these symptoms. Instead, the symptoms may appear as reckless conduct, or addictive behaviors such as drug and alcohol abuse, overeating, or overspending. 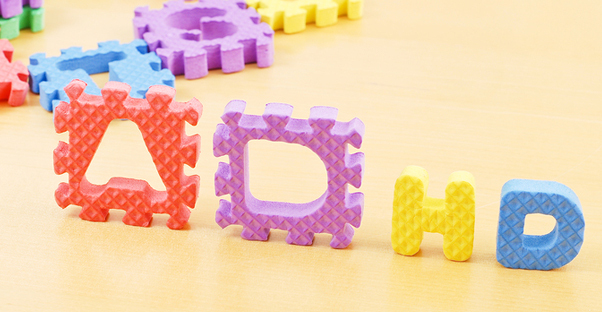 If you suspect your child may have ADHD, what can you do? The first step is to visit your family doctor, who can rule out other causes for the symptoms. If ADHD is still a possibility, a number of health professionals can provide a diagnosis. They include psychiatrists, neurologists, pediatricians, psychologists, and clinical social workers. Psychiatrists, neurologists, and pediatricians can prescribe medication. Psychologists and clinical social workers can provide counseling for the child and family.